MORE FUN THAN MOST EXAMS. AND 100% PASS RATE. An eye examination lasts around 40 minutes and, as well as determination of the spectacle prescription, includes checks for binocular function and screening for eye disease such as glaucoma, cataract and macular degeneration. It also includes an analysis of visual requirements, such as determination of computer screen distance, and other essential viewing distances/angles of gaze, whether it’s staring at a bank of six computer screens or playing the piano whilst reading sheet music and watching the conductor. I use the latest Nidek refraction unit that enables me to make measurements that are accurate to 0.12 dioptres and 1º on the astigmatic axis. (This makes for super-accurate refractions, resulting in optimal vision). 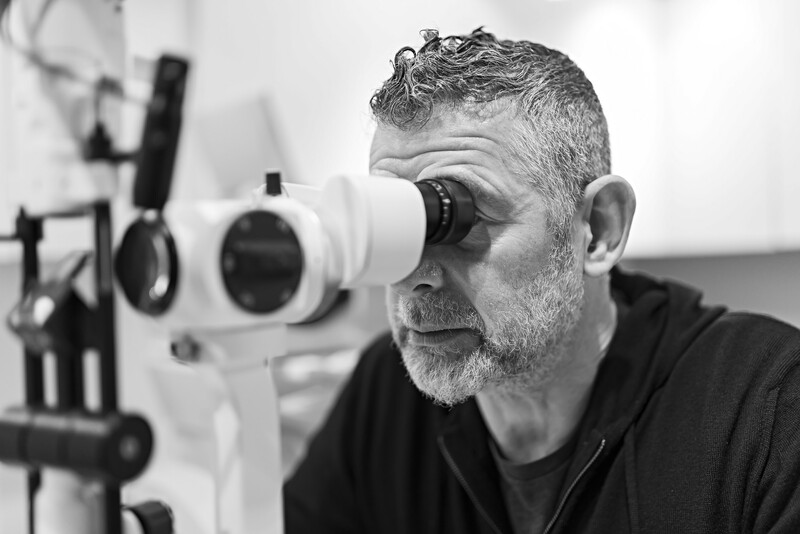 As well as checking the health of the back of the eye, retinal photography is a useful guide to general health as it’s the only way of seeing internal blood vessels without being invasive. The effects of diabetes or high blood pressure may be present before other symptoms occur. Retinal photography is included as standard in my eye examination. The eye exam fee is £60. I've developed relationships with various specialists over the years and will arrange referrals either directly (through private health insurance or self-funding) or through the NHS. I also offer an advanced scan that images the tissues of the retina, similar to an MRI or an X-ray. This will reveal any early signs of macular degeneration and glaucoma, both of which rely on early detection for best treatment. For flashes and floaters, it provides a differential diagnosis between a retinal detachment (serious) and a vitreous detachment (usually harmless) without a four-hour wait at Moorfields. It also scans the optic nerve head and can reveal cranial swelling (or hopefully the lack of) and neural changes from glaucoma. There is ongoing research into changes in the retinal nerve fibre thickness over time and predicting the onset of Alzheimers. There is an additional £40 fee for an OCT scan.